Electric kettles are great. They let you boil water for tea anywhere there's an electrical outlet, even at your desk. 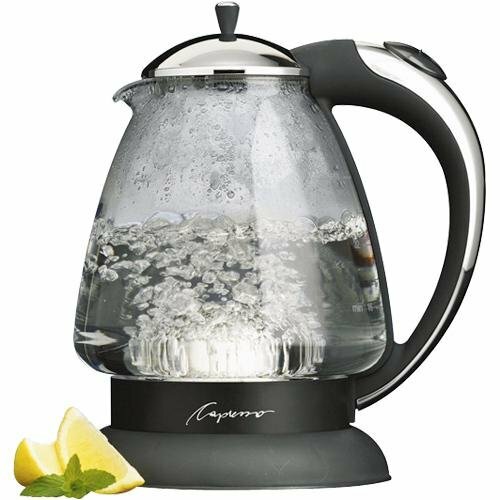 The even greater thing about the Capresso H2O Plus Glass Water Kettle is that you can see when the water is starting to boil and turn off the kettle before the water gets too hot. There is also an extensive review of the kettle in the El Paso Times.